Edwin “Ed” Robert Naleilehua Lindsey, Jr. passed away quietly at his family home in Lahaina at 5:30 a.m. last Tuesday after a five-year battle with cancer. He was 70 years old. Imua! 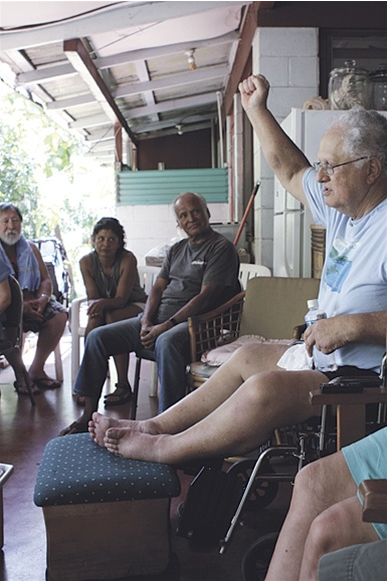 At a meeting of Hui O Wa’a Kaulua, Uncle Ed Lindsey proposes the name “Naleilehua” for the new double-hulled voyaging canoe that the group has begun constructing. The vessel was named in honor of Ed’s father, Ned Naleilehua Lindsey. The name refers to the tallest lehua tree in the forest that shelters and helps nourish the plants that surround it. 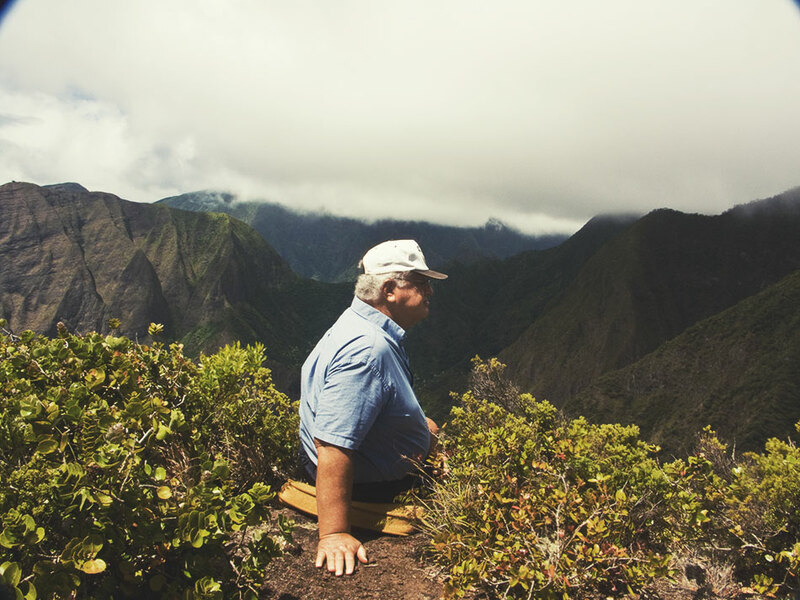 treasure.” Lindsey and his family are well-known for their tireless contributions to the preservation and restoration of Hawaiian culture and lands. Though Lindsey founded or was involved with many organizations on Maui, his primary focus was on native land restoration projects, Malama Honokowai Valley and Malama Kaheawa-Hana’ula, and Hui O Wa’a Kaulua, an organization that is currently constructing a double-hulled voyaging canoe, Naleilehua, named in honor of Ed’s father, Ned Naleilehua Lindsey. Malama Honokowai Valley and Malama Kaheawa-Hana’ula are both under the purview of Maui Cultural Lands Inc., a program spearheaded by Lindsey that focuses on education about Hawaiian lands and culture, as well as restoration, stabilization and preservation of native flora, fauna and archeological sites. For the Lindsey ‘ohana, the shifting tides of Ed’s passing have not shifted the focus from the legacy left by Ed and his parents, Ned and Pua Lindsey. Lindsey’s wife of 45 years, Puanani, said she will maintain the physical part of the work Ed has been doing. “I made a promise to Ed that I would carry on the projects as long as I can… as long as I can use my hands and my legs, I will do the work,” she said. Lindsey’s son, Jonathan, is also at the forefront of the manpower required for the projects. Ed “Ekolu” Lindsey III, Ed’s eldest son, is confident that his father’s vision will be perpetuated. “We’re probably going to do it the same way, the same thing he was doing,” he said. According to Ekolu, his father had prepared for lifelong community service during his 25-year teaching career. Lindsey taught for four years in Hana, then later at ‘Iao Intermediate School in Wailuku, specializing in Hawaiian and Social Studies. A gifted communicator, Lindsey was consistently approached for his input on handling a wide range of social and environmental issues. He would constantly stress that one must be worthy of the work they are undertaking. In an interview shortly before his death, Ed expounded on the importance of intentionality when embarking on any project. Ekolu said that he will strive to emulate his father’s talents. “One of his key characteristics was always looking for the good in people. Carrying on the legacy. “This is for my grandchildren, their children and their children’s children,” Ed would frequently say when speaking of the many projects he was involved with. Pictured (left to right) Grandson Ka’elo Lindsey, son Edwin “Ekolu” Lindsey III, Ed Lindsey, grandson Keolewa Constantino, daughter Lahela Constantino, sister Roselle Bailey and wife Puanani Lindsey in background. As far as carrying on Ed’s legacy, Rose Marie Duey is currently heading up the administrative aspect of Maui Cultural Lands. Lindsey’s son, Jonathan, is at the forefront of the fieldwork on the projects. Lindsey’s daughter, Lahela Constantino, said that she will be next in line to head up the project, and for now she will prepare for the responsibilities that lie ahead. A public memorial for Ed Lindsey will be held on Friday, July 3, at 4 p.m. at Waiola Church Hall in Lahaina. Services will begin at 6 p.m. 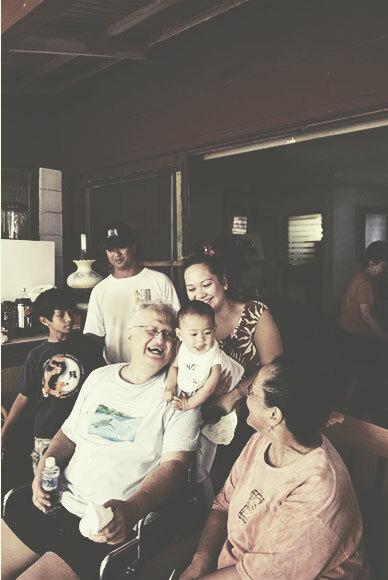 In lieu of flowers or food, the family has requested that donations be made to Maui Cultural Lands to help continue Ed’s legacy. To volunteer or donate to Maui Cultural Lands, visit www.mauiculturallands.org for more information.